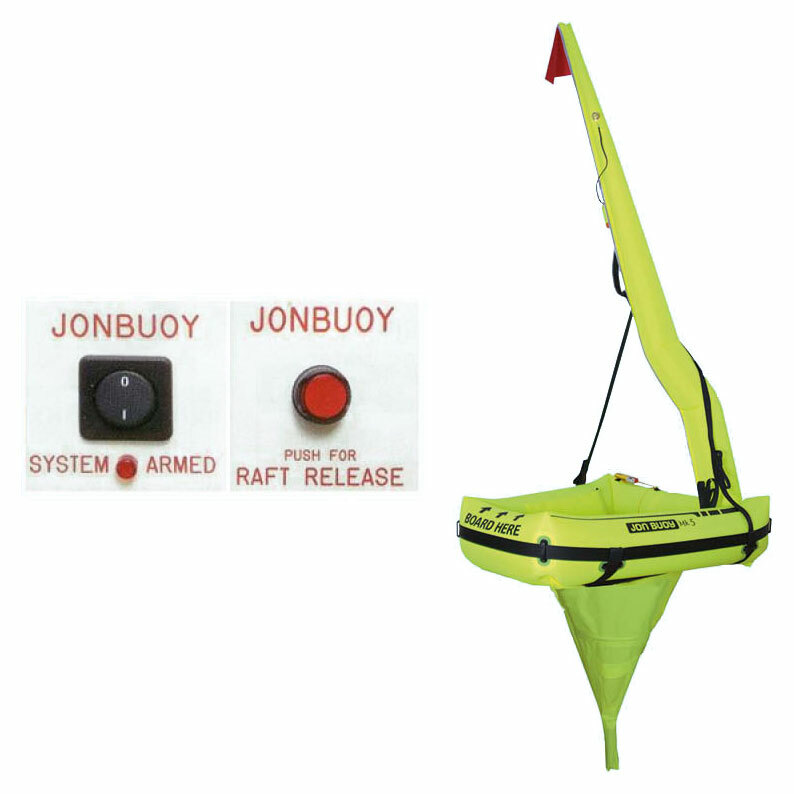 Supplement to the Jonbuoy Module Release Pack. 'SYSTEM ARMED' Must be mounted in a dry location (e.g. chart table). 'PUSH FOR RAFT RELEASE' May be located in the cockpit.